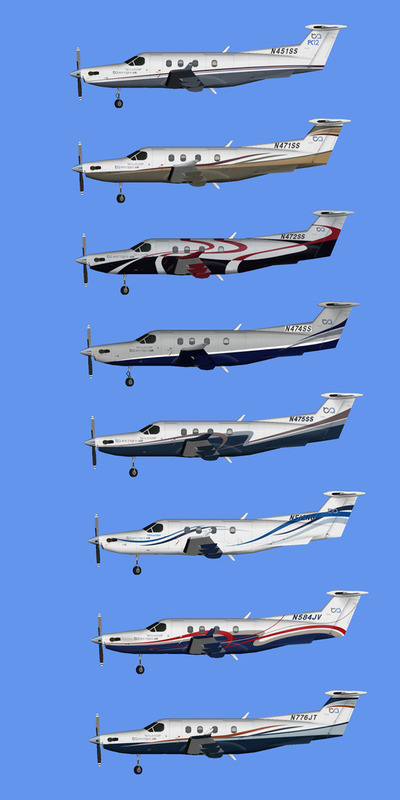 Boutique Air Pilatus PC-12 Fleet for the AIG Pilatus PC-12 base model. These are textures only. The AIG Pilatus PC-12 base model is required. It can be found at avsim.com. Search for AIG_PC-12_basepack.zip. PS. Press the picture to download. Time haven’t allowed me to make the usual download. Also notice the preview picture might seems wrong. It’s not the model, but MCX that makes it looks like the nose gear is stuck outside. In FS there is no problem.